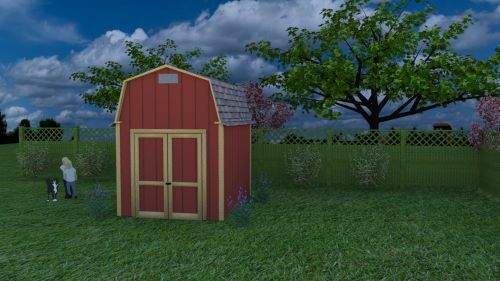 Jason built this really neat looking 10x12 barn shed and added some pre-hung double shed doors, added some nice windows, and roofed it with metal panels that will last forever. 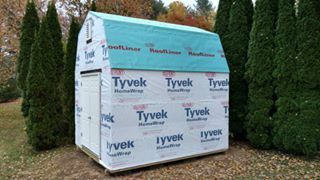 Along with the vinyl siding Jason used this shed is going to provide it's owner with a lasting benefit for years to come. 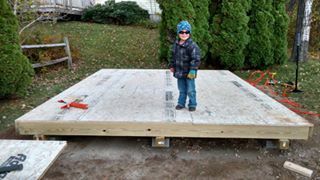 Three 4x4 support skids will make this shed floor really sturdy. 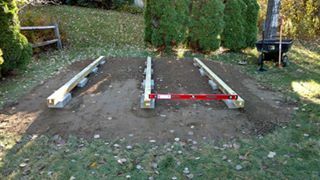 I like how Jason used concrete blocking under the skids. 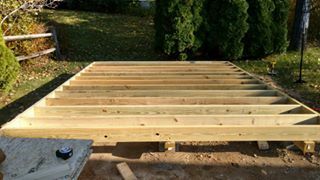 Shed floors get so much moisture and dampness going on with them that it's always a great idea to use treated wood for the floor structure. 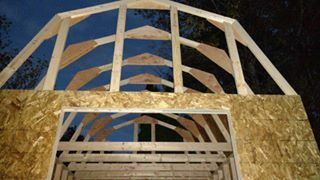 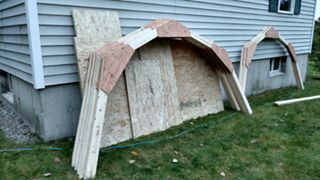 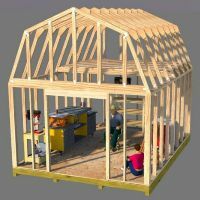 Pre-built trusses will make building the gambrel shed roof really easy. 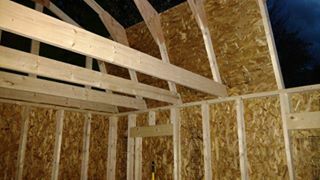 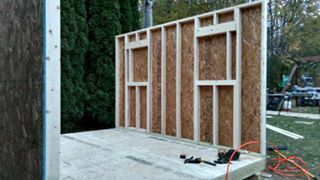 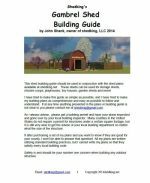 Jason has framed in a few windows here and the plans come with some additional information on adding windows to your shed. 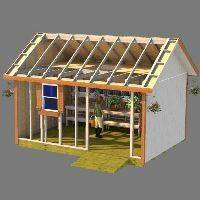 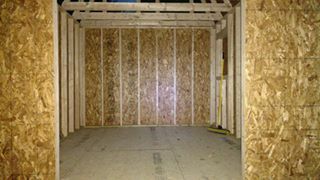 One of the neatest and useful benefits of building a gambrel style shed is all the storage room you will have in the loft area. 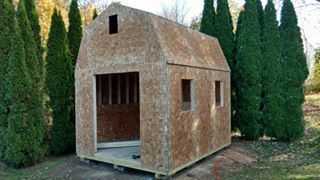 This Shed Is Coming Along Nicely! 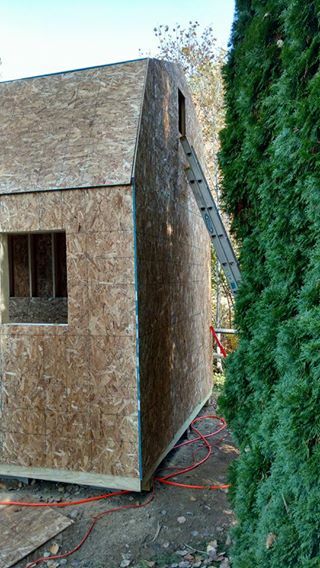 Siding This Shed In Progress! 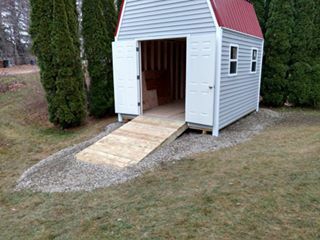 Hey, Anybody Can Build a Neat Shed Like My Dad! 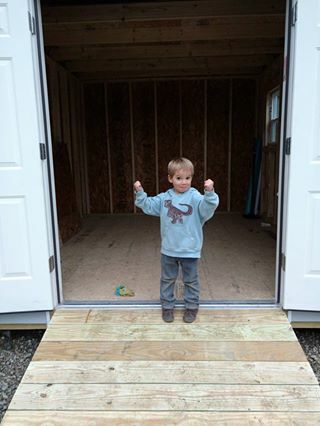 This size shed is perfect to build and use as a playhouse too! 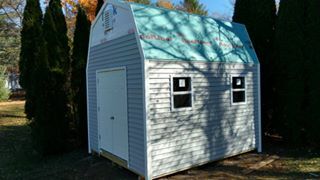 Jason thank you so much for sending me your cool pictures of your neat shed. 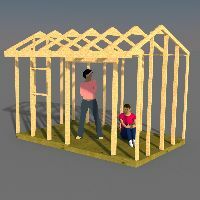 I hope you and your family enjoy it for years to come!